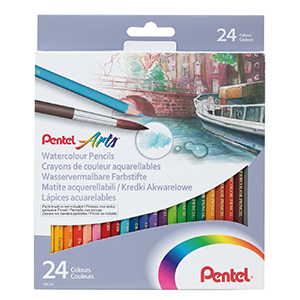 How to use watercolour pencils: a. First create your drawing with watercolour pencils. b. 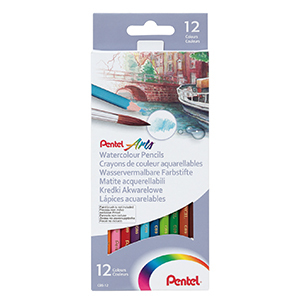 Then, apply a wet brush over the drawing to blend colours beautifully and create watercolour-like effects. 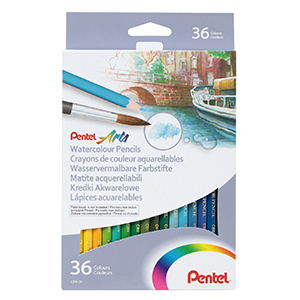 Suitable Pentel Aquash water brushes are: Large (FRH-B), Medium (FRH-M), Small (FRH-F), Mini (FRH-MM) & Flat (FRH-MF) Conforms to FSC mark and CE mark.